Should you buy the Universal Orlando Express Pass? Are you planning a trip to Universal Orlando Resort? Wondering if Express Pass is worth the money? My family recently tried the Express Pass ticket add-on at Universal Orlando Resort. We all love Harry Potter, and my kids (ages 10 and 13) are old enough to get excited about big thrill rides, so we used Express Pass on all the most popular rides in both Universal Studios Florida and Islands of Adventure. We are frugal, so we would not have purchased the Express Pass add-on if Universal Orlando Resort had not given them to us to review. I still do not think that Express Pass is essential if you are willing to wake up early and plan ahead. However, I have to admit that I loved our Express Passes. Express Pass took away all the stress and frustration that we typically feel at theme parks when crowds get heavy. We rode any ride at any time without worrying about crazy long lines. No planning. No running to kiosks. No fussing with an app. It was awesome. Here are my tips for getting the most from Express Pass at Universal Orlando Resort. Universal Orlando Resort extends its Express Pass privileges to practically every attraction in the park. You’ll find Express Pass lines at popular rides like Harry Potter and the Forbidden Journey as well as kiddie rides like The Cat in the Hat. Most shows have Express Pass lines as well. The only ride we found without an Express Pass line was Pteranadon Flyers in Universal’s Islands of Adventure. Volcano Bay does not offer Express Pass privileges… yet. Your Express Pass allows you to wait in a separate, usually shorter, line than the regular queue. Show your Express Pass to an employee at the ride entrance, and he/she will admit you to the Express Pass line. Universal Orlando Resort limits the number of Express Passes they sell to ensure that Express lines stay shorter than regular lines. We found that the Express Pass didn’t help much early in the day or on less popular rides where lines were short anyway. We also found that when crowds became heavy, Express Pass lines grew too. Our typical wait in an Express Pass line was 10-15 minutes on a “mixed” weekday in October. Our maximum waits were around 30 minutes for Harry Potter and the Escape from Gringotts and Hogwarts Express. Even then, Express Pass cut our wait time by at least half. Universal Orlando sells a limited number of Express Passes each day, so buy early if you want to be sure to get them. Prices and availability vary depending on the date of your visit. So, you’ll probably pay more and need to buy earlier for the holiday break in December than for a weekday just two weeks later. Choose between two Express Passes at Universal Orlando Resort: Universal Express Unlimited or Universal Express. Then decide if you want the pass for just one park, or both parks for each day you purchase this ticket add-on. We had 2-Park Universal Express Unlimited Passes. This allowed us to enter the Express Line in either park for any ride as many times as we wanted for each day the Express Pass was valid. When our kids begged to ride Jurassic Park River Adventure twice in a row, we rode it twice in a row. The Universal Express Pass is your other option. This allows you admission to the Express Line once per ride for the date the Express Pass is valid. This option is less expensive than Express Unlimited. It’s nice to have an Express Unlimited, but honestly, there were only a couple of rides we enjoyed twice on the same day because there is so much to do at Universal Orlando. To be clear, an Express Pass will not get you into the park. You must also purchase regular admission. Express Pass is an optional ticket add-on. A lanyard is the best way to keep your Express Pass with you at all times. You’ll be required to leave unsecured personal items like day packs in a locker before you enter most thrill ride lines, but you’ll need to show the Express Pass in the line. Tuck the lanyard inside your shirt before you ride anything that turns you upside down, like the Incredible Hulk Coaster or Harry Potter and the Forbidden Journey. You can use any lanyard with a secure plastic pouch and a safety breakaway clasp. Here is an inexpensive example at Amazon.com. We purchased souvenir lanyards at Universal Orlando. There are four people in my family and we each picked a different Hogwarts house lanyard. We can reuse them on future cruise and theme park trips. My family spends most of our theme park time on rides, and we loved using our Express Unlimited Passes at Universal Orlando. The Express Pass didn’t eliminate standing in line, but it cut our wait times dramatically so we could ride a lot more in less time. Disclosure: Universal Orlando Resort provided my family with complimentary Express Passes for the purpose of review. All opinions are my own. Have a question? Ask in the comments! My family is traveling to Universal Orlando and we are planning on visiting both parks to experience the Wizarding World of Harry Potter. Our hotel as well offers the unlimited express pass however we have heard that the queue areas for Forbidden Journey and Escape from Gringotts are not to be missed. Do you know how much of the queue area is sacrificed to be able to take advantage of the universal express feature? Should we wait in the regular line for both of these rides to see everything? If the line is under 20-30 minutes on your first time through, you may want to take the regular line so you can be sure to see it all. Or decide whether riding fast or taking in the details is most important in the Express Line. If the latter, you may just want to let people pass you while you stop and take your time. I only rode Escape from Gringotts once (the rest of my family rode 2-3 times,) and we didn’t stop to watch where Bill explains the ride in the queue, so some parts of the “plot” didn’t make sense to me. We have a party of five going to Universal for my daughter’s 13th bday. Tickets for both parks are $180 plus the fast pass is $120. $300 per person for just tickets in one day at Universal is a lot more I budget for; still have to feed them! In trying to cut some expenses I’m wondering if it would be better to do just one park with fast passes, or do both parks without the fast passes. What would you recommend? Thanks in advance!! Also would be worth mentioning we are going during the first week of April, spring break! Hi SueEllen! I agree, that’s a lot of money. If I had to choose, I would visit both parks without purchasing the Express Pass. The Express Pass is really convenient, but even during Spring Break, there are other ways to cut your time in line and still enjoy what you came to see and do. It would be a shame to miss the second park – especially if you are Harry Potter fans! If you don’t buy Express Pass, I recommend that you arrive at the park early each day and visit your top priority rides first. Later in the day, use single rider lines when possible, or save that time for shopping and shows. If you plan for the crowds, you should still have a great time. If you were just going to get an Express Pass for one park & visit the other without an express pass- would you choose the express pass for Universal Studios or Islands of Adventure for a June trip with 10 & 12 year old kids? Thank you! Both parks are fun and both have popular attractions with long lines. All things being equal, I lean slightly towards Islands of Adventure. However, the most important factors are your vacation schedule and which attractions are most important to you. What days of the week will you be visiting Universal Orlando? If one is a weekday and one is close to or on the weekend, you should expect the weekend to be more crowded. If one park has more interesting attractions for your family, then that’s the park where you’ll want to use Express Pass. If you know you’ll have less time/energy on one day than another, then use Express Pass on a day you’ll need to get through the park faster. Hope that helps! Is 4 days too much time for Universal? I was thinking 2 days at the parks, one day at volcano bay and last day back to the parks. We are debating if it is worth it to spring for universal hotel that includes express passes, or stay at regular hotel and splurge on VIP one day. If you could only do express or VIP which would you choose? If doing VIP would you do it on the first or the last day? I don’t want the behind the scenes to spoil any of the magic, but I also want to make it the most magical experience given the crowds. Any thoughts are greatly appreciated. Oh we are going in June and the main purposed is to experience Harry Potter World for my 10year old. We want to go in order of the book experience, so plan on going to Diagon Alley side first. When we are on that side is best to get a wand first or ride gringotts first? Sorry for so many questions. This trip planning is stressful business…. but worth it to create a fun trip. Hi Melissa! Trip planning can be stressful, especially when you want it to be perfect and have so many great options! I think that if you do all three parks and CityWalk, 3-4 days at Universal is just right. Four days gives you one full day in each park, plus an extra day to do CityWalk (which doesn’t need a full day), enjoy some pool time at your hotel, do anything that you didn’t get to do, or do some favorites again. Keep in mind that if you splurge on Express Passes or the VIP experience that you’ll skip the long lines and get through your priority attractions in a lot less time. A 4th day would allow most people all the time they could want in the Wizarding World of Harry Potter, or allow you to enjoy Universal on a leisurely schedule. I have used Express Pass, but have not tried VIP. I would do either on the first day rather than the last because you’ll get right to your priority attractions with shorter lines and start your vacation with a slam dunk. You’ll have a lot more experience to help you plan your remaining days. I would choose on-property with Express Pass over off-property with VIP because of the added convenience and perks of staying on-property and because Express Pass worked well for us. Again, I haven’t tried the VIP experience, so I don’t know what I’m missing. I’m sure that Universal’s goal with the VIP Experience is to enhance the magic, however, I can see the concern if your child is really looking forward to an immersive experience in the Wizarding World of Harry Potter and doesn’t want to know how they did it. If you do choose the VIP Experience, I would share this with your guide so that he/she can best meet your needs. Generally, I would recommend doing Escape from Gringotts first thing in the morning to beat the crowds. Plus, this ride (and many others) requires you to store all belongings (including wands) in lockers, which is a minor hassle. However, you can use Express Pass at Gringotts and you can’t for the wand experience. Your child’s chances of being selected for “the wand choosing the wizard” will be better if you do it when crowds are lightest – very early or late in the day. If you buy an interactive wand, it will do “spells” in the shop windows, which is fun. Hope that helps! Happy planning! 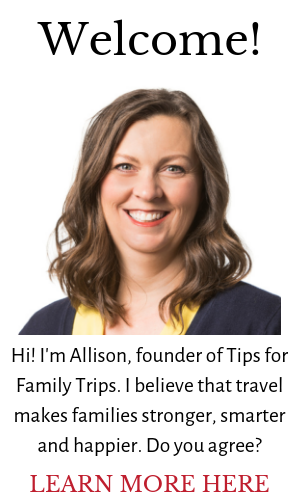 Hi Alison, this is a really useful page. Thank you! We’re visiting next year and staying at a Disney hotel, but planning on dedicating a couple of days to a Universal. I am looking at the 2 park tickets so we can experience Hogwarts Express. What I can’t quite understand is, if we buy an Express pass, does it cover both parks, or just one at a time. Can you help? Hi Julie. That sounds like a great trip! You have a lot of options with Express Pass… one park, both parks, one use per ride, or unlimited access. Each option is priced differently, with the 2-Park Universal Express Unlimited Pass being about $30 more expensive than the one park, one use per ride Express Pass. You can see all the options on Universal’s website here: https://www.universalorlando.com/web/en/us/tickets-packages/express-passes/index.html Hope that helps! We were blessed with winning 4 One day two Park tickets to Universal Resorts Orlando! While this is a great thing..trying to figure out how to keep the price down for the unexpected trip is stressfull as we have a family cruise planned in the next 30 days with Christmas right behind that. We are family of 4 our children are 4 and 7. However, my mother is a Harry Potter crazed/ obsessed fan LOL who is also a 100% disabled veteran. So with that being said our family of five will be traveling to Universal Orlando from about 2 hrs away. My question is with December 13th being the day we’re going to try to cram in both parks ..do we need the express passes? If so then we should Splurge for the expense of an on-site Hotel. Or do you think the crowds will be so low that we can stay off site and save a boatload of money? We are Disney fans and probably will not be venturing back to Universal until the children are older. Any solid advice would be much appreciated!! Congratulations on the free tickets! That will be so fun. Since you live close enough, this probably isn’t a once-in-a-lifetime trip. The Express Passes would definitely help you cover more ground in both parks. However, you could instead focus on Harry Potter and get a feel for the parks this trip. Maybe save the rest for a future trip. I think it’s a great idea to get a hotel the night before and pick a day with lighter crowds. Whether you stay off-site or on-site, I would arrive at the gates 20-30 minutes before the published opening time and walk straight to the Wizarding World of Harry Potter. Start with the top rides and save shopping, dining and shows for later in the day. If you can get in an hour early by staying at an on-site hotel, that is a splurge that I would consider. However, I think you could have a great day wherever you stay, as long as you have appropriate expectations for what you’ll be able to accomplish in your limited time.